Today begins the last week of Introverted Church. I have three guests posts lined up for Monday-Wednesday and then I will close on Thursday with my parting words. Here is something I never could have predicted: over the past two years Introverted Church has become a place for significant conversations about parenting. I don't have children and my knowledge about them is limited, although I did become a first-time uncle in May. There have been some remarkable guest posts on introverted parents and children highlighted by Introverted Parenting Week last year. I even convinced Susan Cain to write a guest post for that series. Here is a link to all the posts that have fit into the parenting category. And today my friend Megan Tietz adds the last post to that category. I remember it being a little bit like that no-turning-back moment on a roller coaster, those months leading up to our first child being born. Just like when the seat belts are buckled and the coaster cars click-clack away from the platform and you know you absolutely cannot change your mind now...anticipating parenting is something like that. I should note that I don't really like roller coasters. Not at all. And I especially hate that feeling of knowing I'm about to be pulled way out of my comfort zone and I am totally powerless to doing anything other than hang on tight. So to counter that feeling of weightless terror, I decided, in the months before our oldest daughter was born, to read everything I could get my hands on about parenting a new baby. I would conquer the terror. And I would conquer it by staying safe and following the rules. And all of those books and all of those rules did, indeed, make me feel safe. They made me feel powerful and in-control. And then our daughter was born and I was shocked to discover that these rules in which I had placed my every hope and all of my trust were useless. My daughter was nothing like the books described, and I was left dizzy and in despair, wondering if there was something wrong with her and more convinced than ever that there was something wrong with me. Sometimes God shows up in the most unexpected of places, doesn't he? For me, it was a short column in a free parenting magazine that I just happened to pick up at the pediatrician's office. 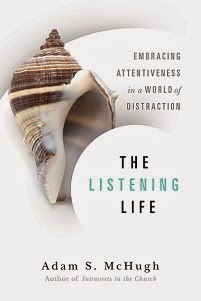 In it, I read about an approach to parenting an infant that was uninterested in following the rules and was entirely built upon discovering and responding to the uniqueness of the baby in your arms. I can remember even now, over seven years later, how peace and comfort lifted my heart and mind that day. It's interesting because as an ENFP personality type, I have a strong need to be independent and am highly invested in honoring the individuality of others. It just never occurred to me, for some reason, that the intense, dark-eyed baby in my arms was herself an individual, not just some creature to be subdued or a doll baby with no preferences about the new and overwhelming life she was forced into on her birthday. She was a real person. Babies are real people. Small and immature in every sense of the word, but people all the same. 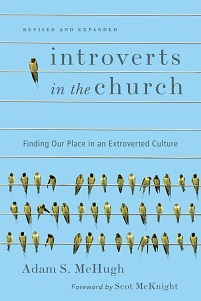 And just as Adam has written extensively about in his book, Introverts in the Church, and here at Introverted Church, all people represent the wonder of God's creation, each one of us uniquely created with temperaments and personalities and gifts that reflect the glory of our Creator. That was a tremendous shifting of paradigm for me, the idea that the secret to navigating the hairpin curves of the thrill-a-minute ride that is infancy is not found in the formulaic rules of parenting books, but rather in letting go of our white-knuckle grips on who we think our children are. Then we are freed to experience the thrill of discovering who our children actually are. It is our hope and prayer for every parent and parent-to-be is that a spirit-led approach to life with a new baby will inspire families to seek after the Creator as we seek to make the best decisions for these squirming, grunting, teething, grinning, giggling wonders of his Creation. Megan Tietz is the co-author of Spirit-Led Parenting, and she writes about faith, family, and natural living at SortaCrunchy. Her husband and two daughters make up a happy mix of introverts and extroverts, and they get along quite nicely (most of the time) in their home in Oklahoma City.